Army Sgt. 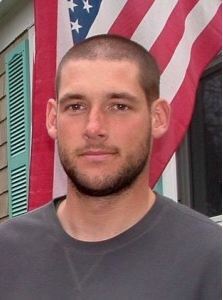 Zachary D. Tellier - Run for the Fallen New Hampshire, Inc.
Zack was born in Carmel, NY and grew up in Westford, MA, and Bedford, NH. Zack enjoyed drama, skateboarding, and producing videos. He was an accomplished drummer in a rock band and a fan of rock artists such as Led Zeppelin, The Doors, Jimi Hendrix, and Dropkick Murphy's. During high school, Zack worked in front of and behind the cameras at Manchester (NH) Community Television, which is where he developed his interest in democracy, his love for the people of the world, and his realization of himself and his lifelong goals. In the summer of 1993, Zack was chosen to participate in a small student exchange program in Poland where the students produced documentaries together in order to learn each other's languages and cultures. He returned to Poland for two more summers to teach video production and American history. During his high school years, he taught children at the German Language School in Manchester. Zack graduated from Manchester West High School in 1994 and from American University in 1998 with a degree in Communications and History. During college, he interned at National Geographic Magazine, where he helped to choose photos for publication. He was president of the American University Rugby Club. After college, Zack returned to the Manchester area. He worked hard at many jobs and excelled at the carpentry trade. He loved spending time with his family and friends, helping them with projects, camping, roughhousing, playing Risk, and laughing with his brothers, James and Dan, and giving "helicopter rides" to his youngest brother and sister, Sam and Hannah. In September 2005, Zack made the decision to enlist in the United States Army. He wanted to be responsible for his own success at a job he knew he could do well, while serving his country. His dedication to the Army was obvious to his fellow soldiers and commanding officers. He stated in one of his blog entries that he "never felt more alive" than he did while he was in Afghanistan doing his job. His military and leadership skills were noticed quickly when he arrived at the 82nd Airborne in April 2006. "Sgt. 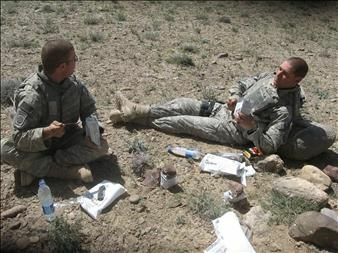 Tellier was one of the most motivated specialists when he came to the unit," Layton said. "He always wanted to improve himself, and he took a lot of pride in what he did. He cared more about his soldiers than he did himself." 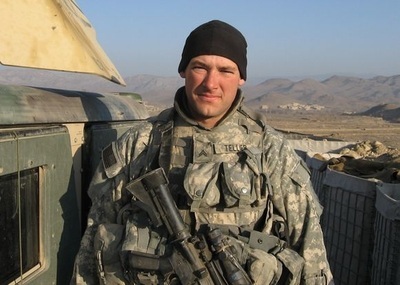 Fellow soldiers said Zack was both a consummate soldier and able to relate to everyone. "Tellier was a college E-4, but work with him one day, and you'd see he was the most deserving guy in the unit to be promoted to sergeant," Spc. Jeffrey Mews, a close friend, said. "Whether the issue was personal or work-related, it didn't matter. ... 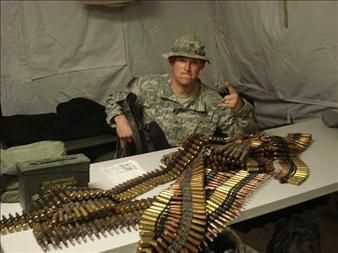 He always hung out with his guys in the barracks. He was the best friend, best NCO any of us could have. He was the epitome of a super soldier." 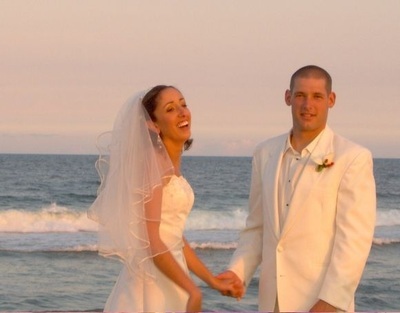 On June 17, 2006, Zack married his longtime sweetheart, Sara Grace Martin. 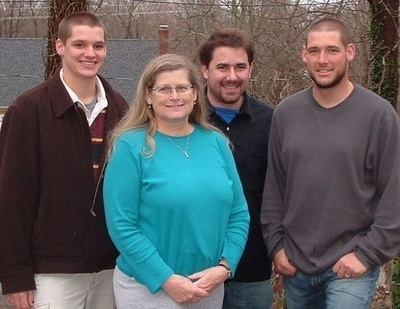 They settled in Charlotte, NC, while Zack was stationed at Fort Bragg. 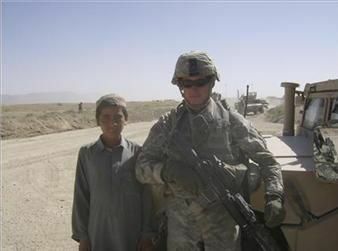 Zack deployed for Afghanistan in January 2007. 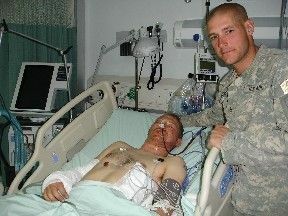 A few months later, in April, Zack suffered serious burns while pulling two fellow paratroopers out of a burning vehicle. 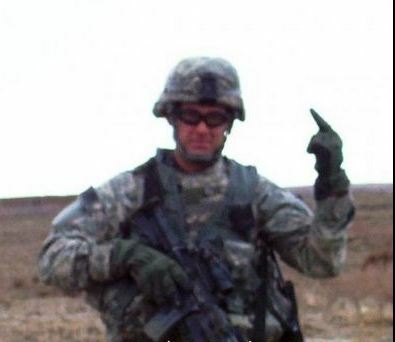 His unit was conducting a mounted patrol when one vehicle ran over and a bomb that detonated. 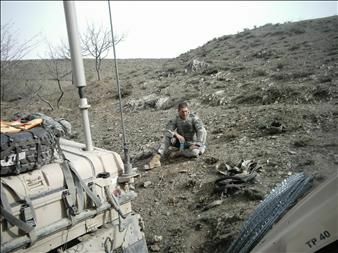 His hands were severely burned, but he jumped onto the vehicle's turret to return fire from its mounted gun until his fellow soldiers made him get out. Spc. 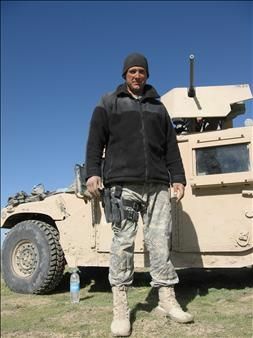 Larry Spray was one of the soldiers Zack pulled out of the burning vehicle. "He was a good friend and buddy. 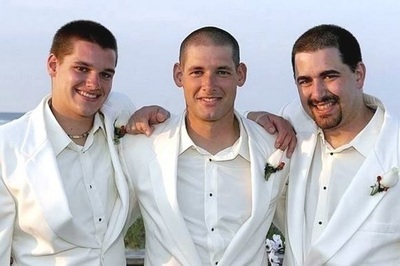 He was the only who could calm me down," said Spray, who added that Zack stayed with him in the hospital for a week. 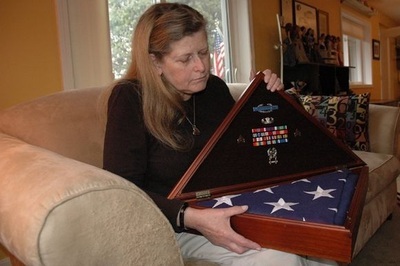 "It didn't matter what happened to him, or how much he got shot at, he'd always keep fighting," Sgt. 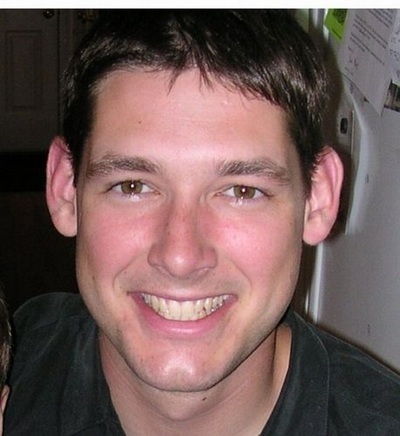 Michael Layton, a close friend of Zack’s and fellow member of the 73rd's 4th Squadron, said. "He was an elite soldier. He could've done anything." 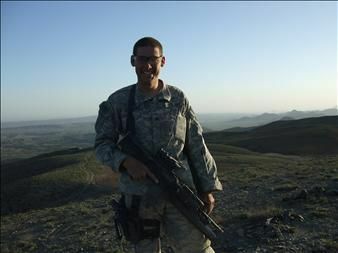 Zack spent two weeks in Baghram Air Force Base Hospital in Afghanistan, but was anxious to get back to "his guys" and returned to his unit. In September, he died of wounds sustained from enemy small-arms fire while on a ground patrol. 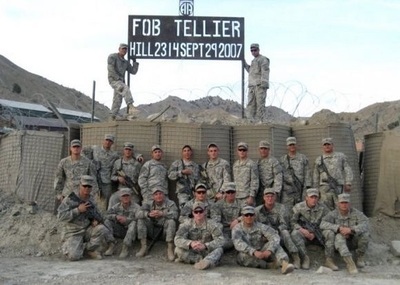 In 2007, 82nd Airborne Division paratroopers from 4th Squadron, 73rd Calvary Regiment and based at FB Wilderness, renamed the firebase to FOB Tellier in honor of their fallen brother, Sergeant Zachary D. Tellier. 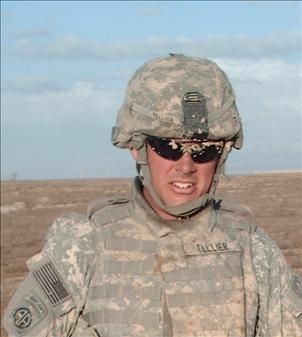 Zack is also mentioned in the book “13 Soldiers” by John McCain & Mark Slater. 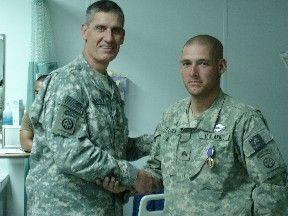 His awards and decorations include two Bronze Stars, one with V for Valor, two Purple Hearts, the Army Commendation Medal, the Army Good Conduct Medal, the National Defense Service Medal, the Afghanistan Campaign Medal, the Global War on Terrorism Service Medal, the Noncommissioned Officer’s Professional Development Ribbon, the Army Service Ribbon, the NATO Medal, the Combat Infantryman’s Badge and the Parachutist’s Badge. 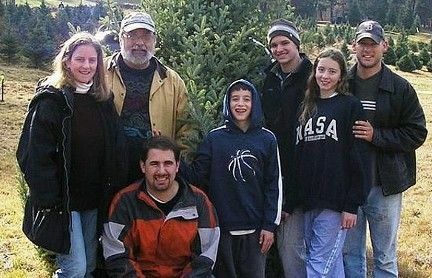 Zack is survived by his wife, Sara Tellier, mother Pamela Morse, father and stepmother, David and Lauren Tellier, three brothers, James, Daniel and Samuel Tellier , Hannah Tellier and his extended family.